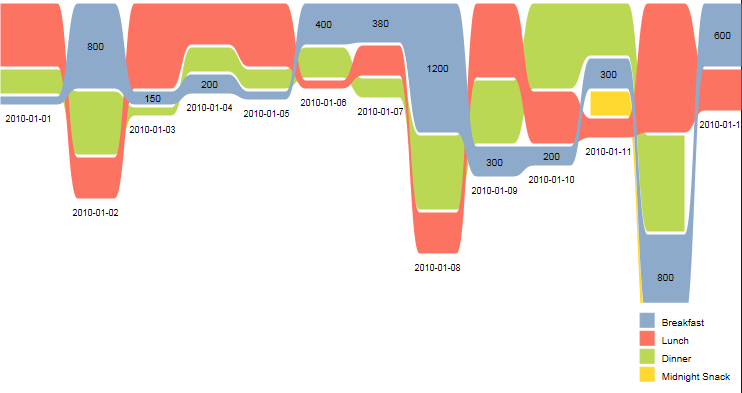 In the last few weeks I have dedicated quite a lot of time to extension development in QlikView. 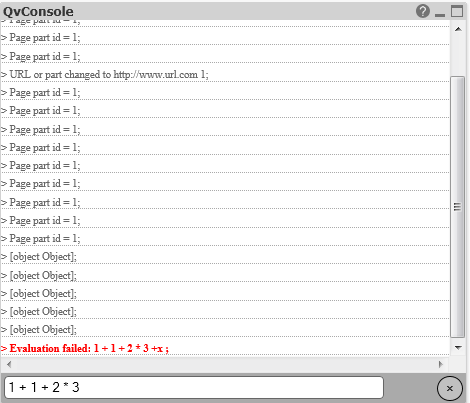 Doing so I have certainly reviewed existing extensions to get new ideas and study existing code. 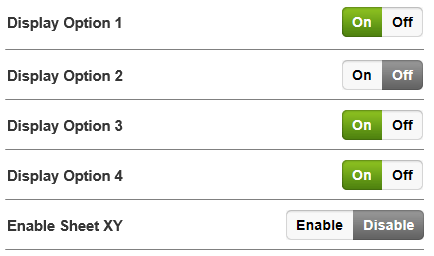 Unfortunately there is no central repository available where you can find all extensions. 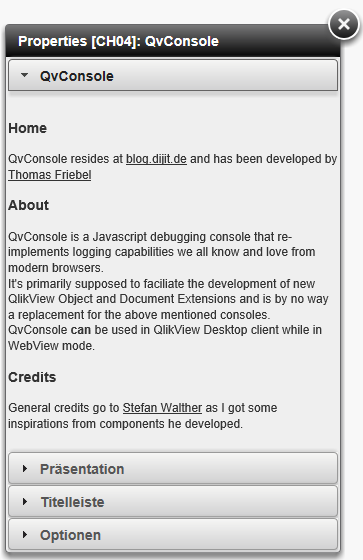 So I thought it would be helpful to share my collection of existing extensions. 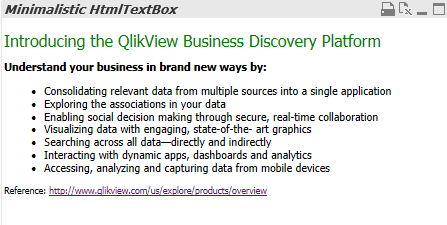 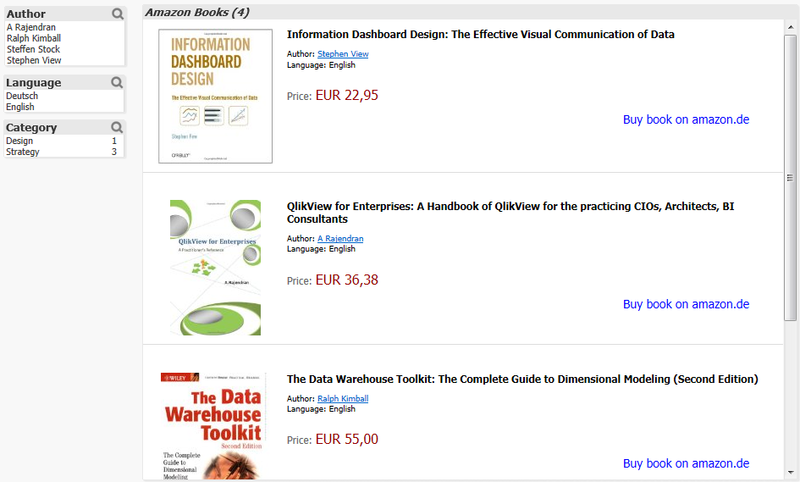 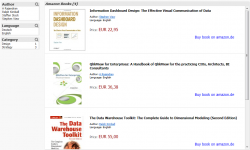 I have only added extensions which work in QlikView 11. If I have forgotten some, please let me know and I’ll add them. 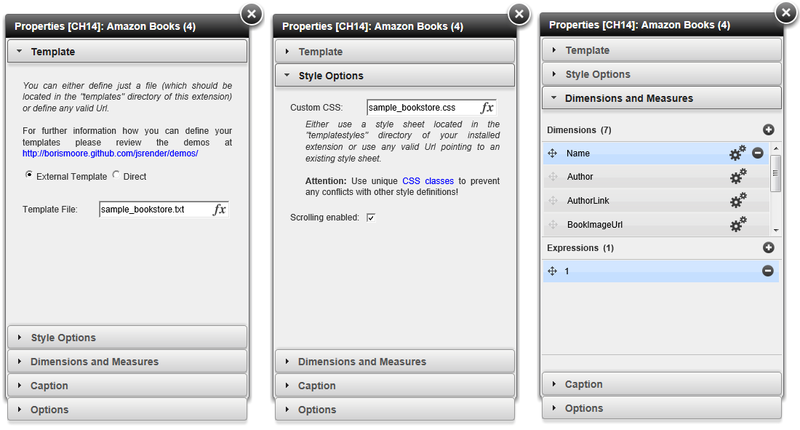 Document extensions and GeoAnalytics-extensions will be covered in another upcoming article. 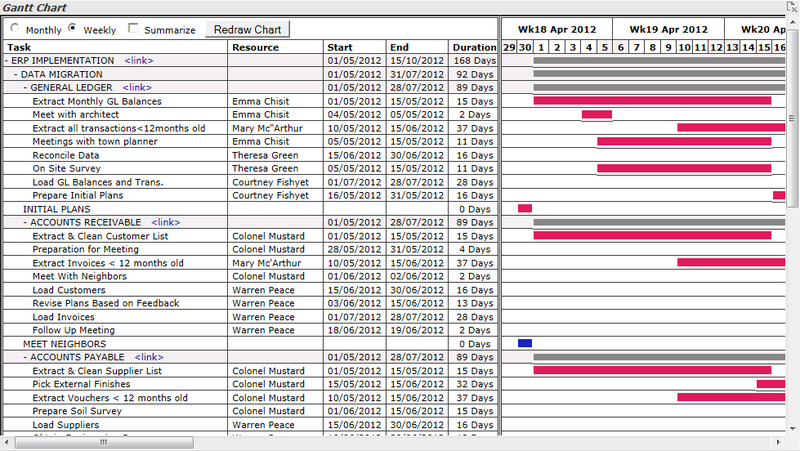 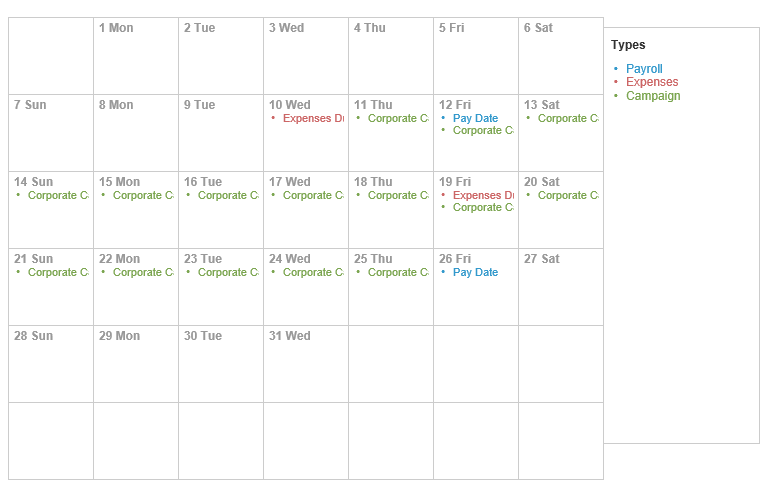 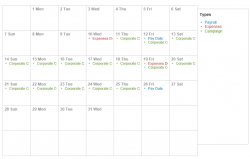 Excellent Gantt chart implementation which really demonstrates the power of QlikView’s extension concept. 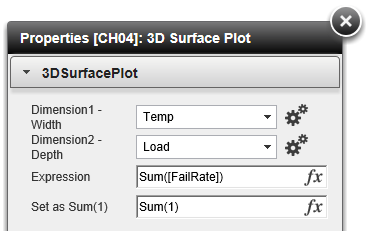 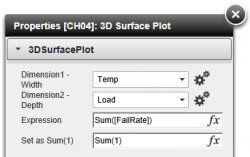 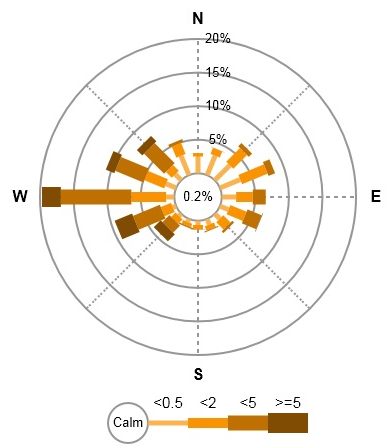 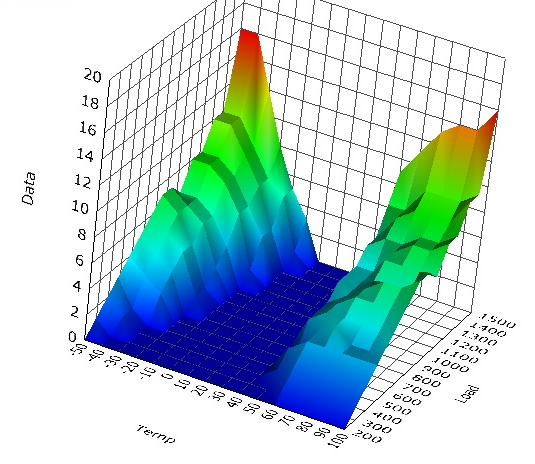 Integration of 3D Surface Plot into QlikView as chart object extension. 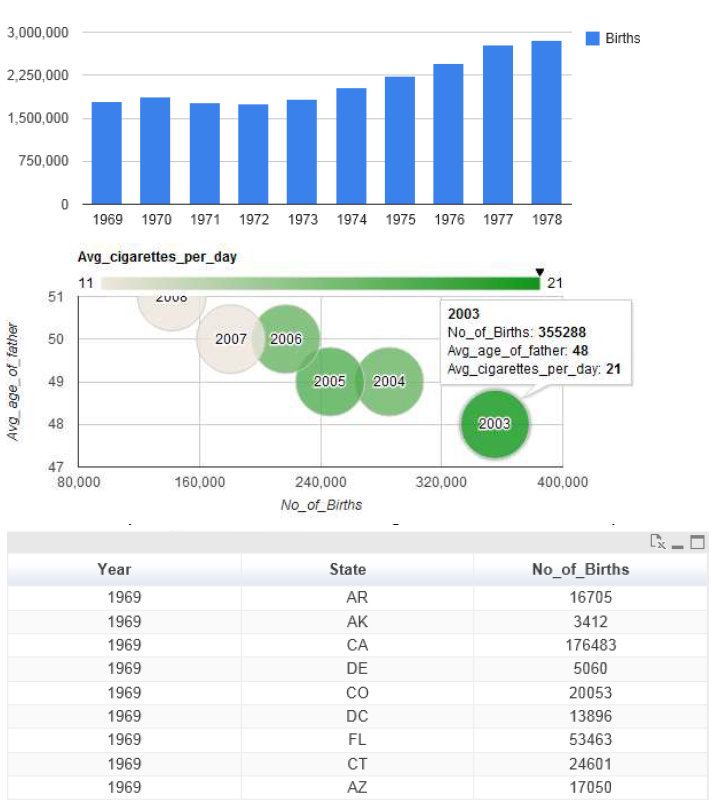 QlikView Extension for Google BigQuery provides instant querying capability against the Google BigQuery platform for the business user from the QlikView application’s User Interface. 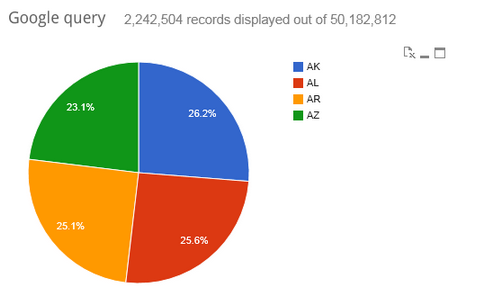 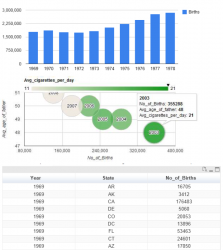 The PieChart Visualization for the QlikView Extension for Google BigQuery extends the existing extension object by providing an additional visualization along with documentation on how to develop your own. 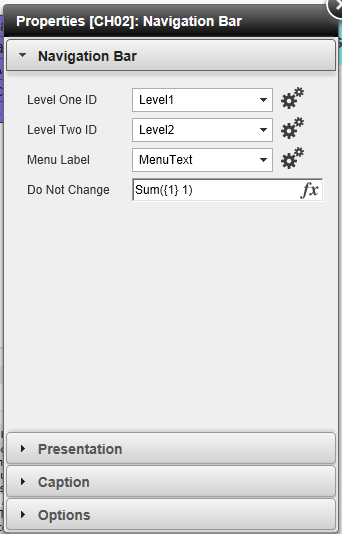 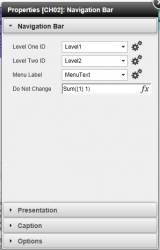 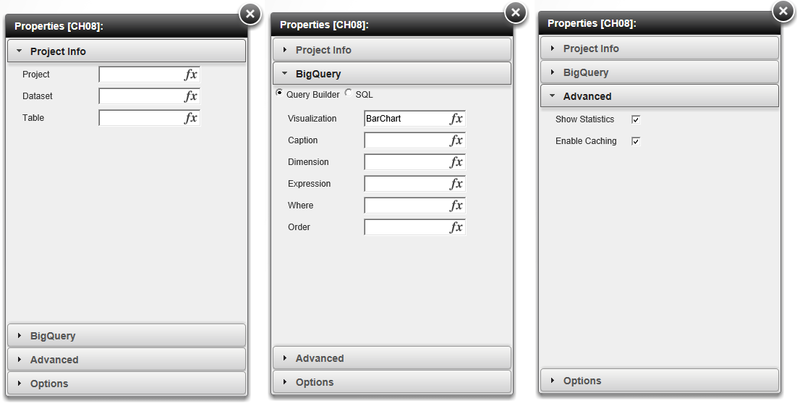 “A navigation bar extension object that allows a 2 tiered menu system to be created from data in you QV app. 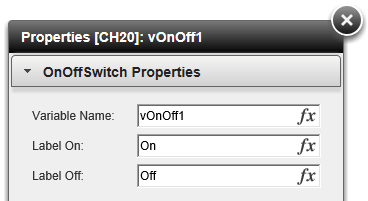 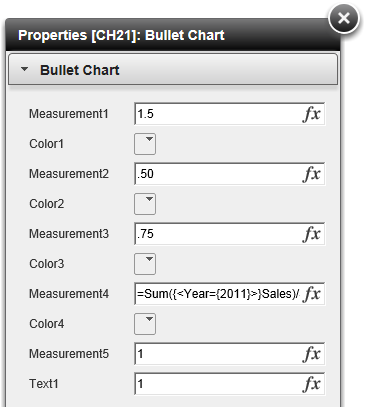 OnOffSwitch is a simple control which manipulates the state of a variable in a QlikView document in iPad style. 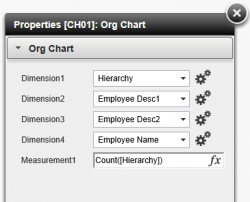 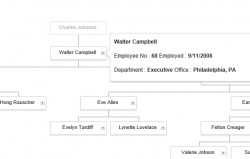 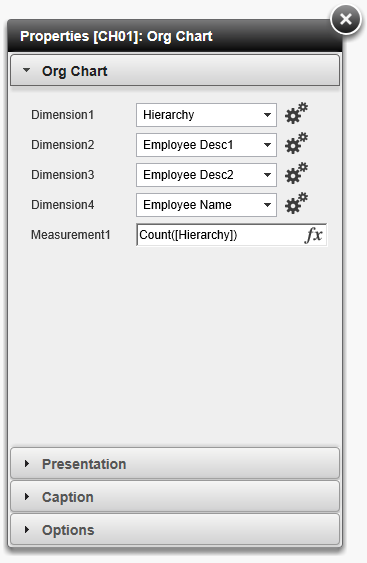 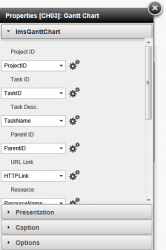 An object extension to display hierarchical data based on a hierarchy in your QlikView document. 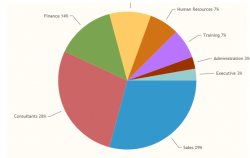 Pie chart very similar to the standard pie chart of QlikView but with optimized labels. 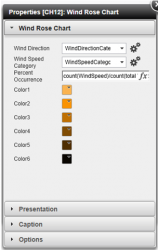 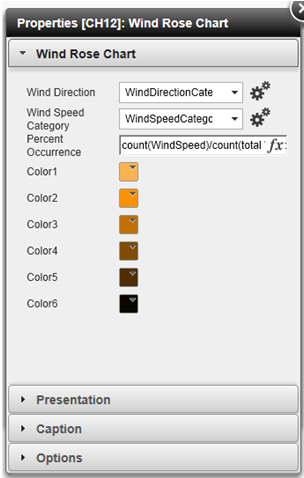 Windrose Chart implementation using the excellent Raphael library to create SVG on the fly. This QlikView object extension allows you to integrate Html formatted content into your QlikView application (either loaded from a database or declared manually). 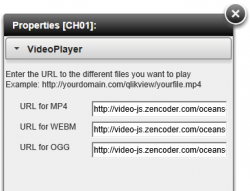 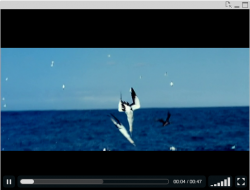 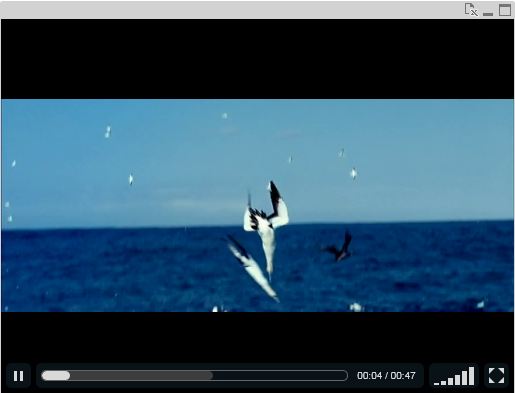 A QlikView extension to embed videos in QlikView. 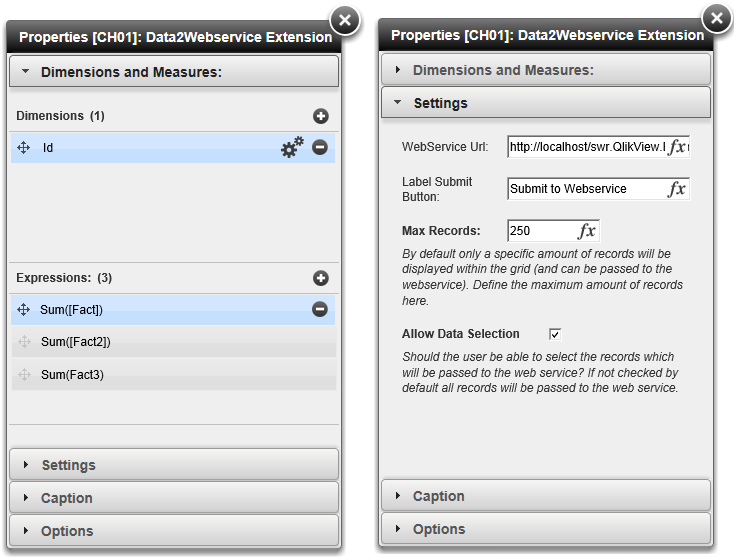 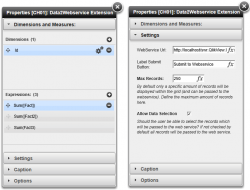 Data2Webservice passes data from QlikView to a web service using this extension. 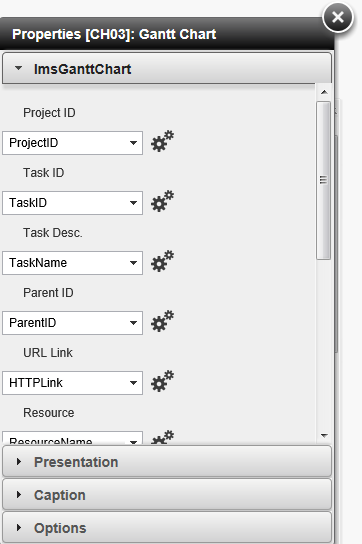 Doing so you can process the received data on the server side to perform tasks like saving the data to a database, creating custom outputs (Excel, PowerPoint), pass the data to other processes and systems. 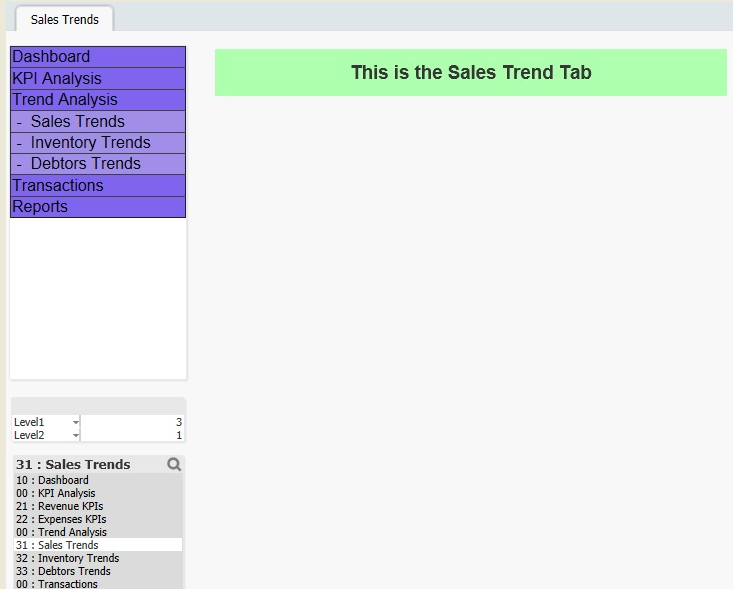 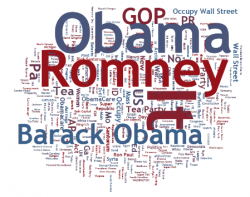 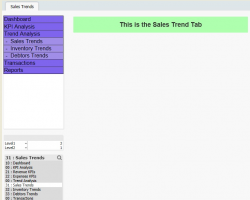 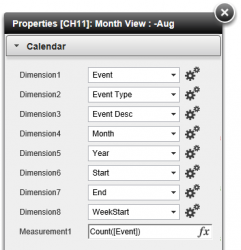 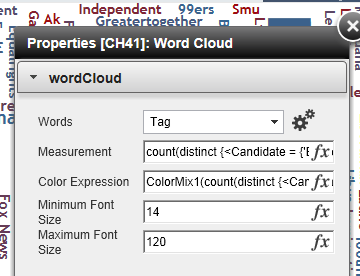 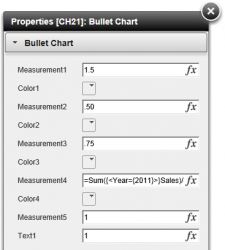 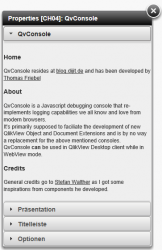 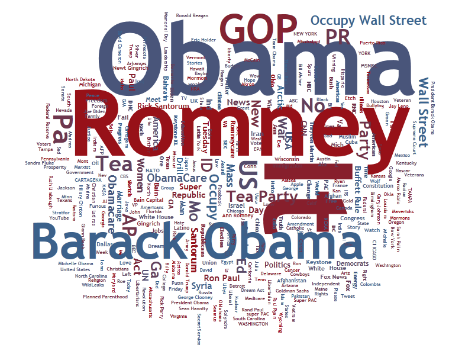 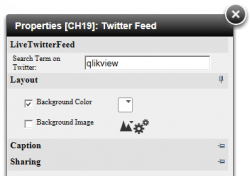 qTemplate brings custom web formatting into QlikView. 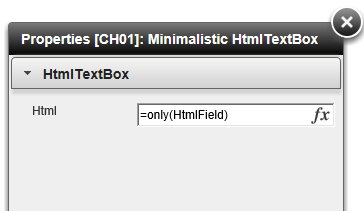 Use a very simple language to define rendering templates based on Html and CSS to display any data passed to the extension. 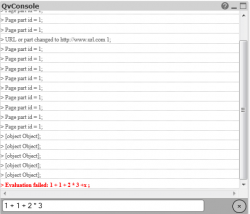 No need to develop several extension, just use the properties of this extension. 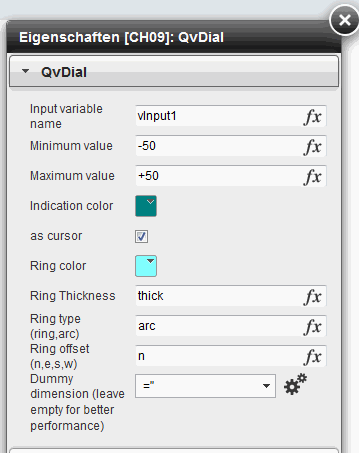 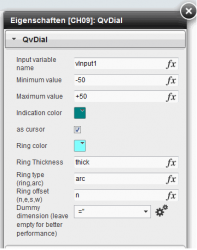 QvDial is a visual input control giving the user the possibility to manipulate a variable value, very similar to the functionality of a slider or like a volume control on the stereo system. 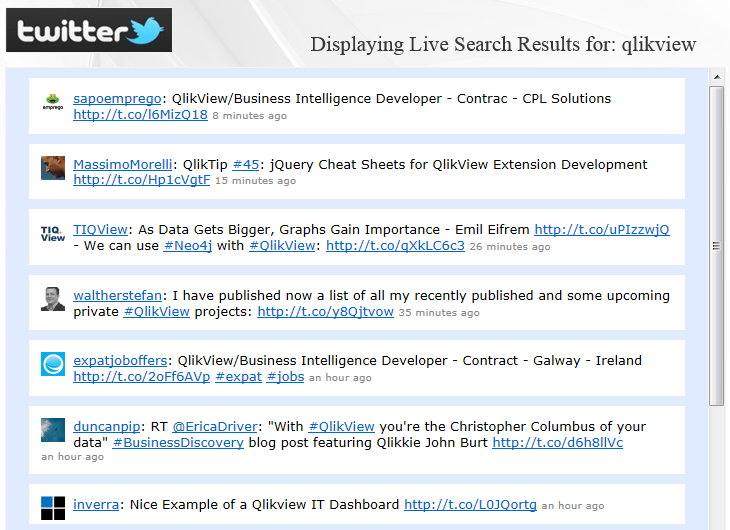 This QlikView extension display live search results from Twitter within QlikView (querying for a Twitter hashtag). 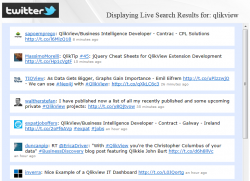 This extension add a twitter button to QlikView and allows users to click it which opens up a new window with a tweet already started for them.